Comeaux Dental Group was thrilled to be chosen by the Noack Foundation to host a Free Dental Day. The event took place at the Comeaux Dental Group location in The Woodlands. The event was co-sponsored by Angel Reach, Interfaith Community Clinic and Henry Schien. 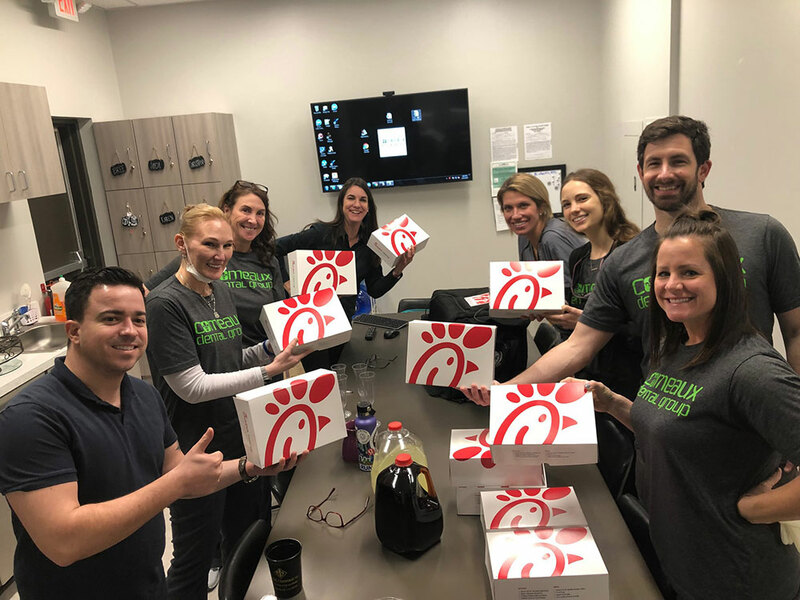 Chick-Fil-a of the Woodlands and Magnolia provided lunch and snacks to keep the staff fueled up and ready to give back. The event was a great success. The Comeaux Dental team was able to complete 25 tooth extractions, 30 fillings and over 50 cleanings. In total Comeaux Dental Group was able to give back over $16,000 in work to The Woodlands, Spring and Montgomery County Communities. “This is just the beginning, next year we will spread the word sooner and get a larger turnout. Thank you to all of our generous sponsors and the great team at Comeaux Dental Group for making this event such an awesome experience,`` stated Dr. Ryan Comeaux.